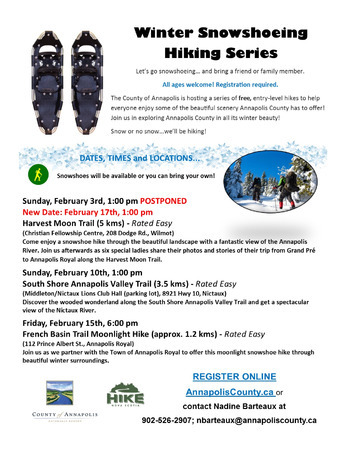 Please be advised, this weekend's hike has been postponed due to extreme icy conditions along the Harvest Moon Trail. 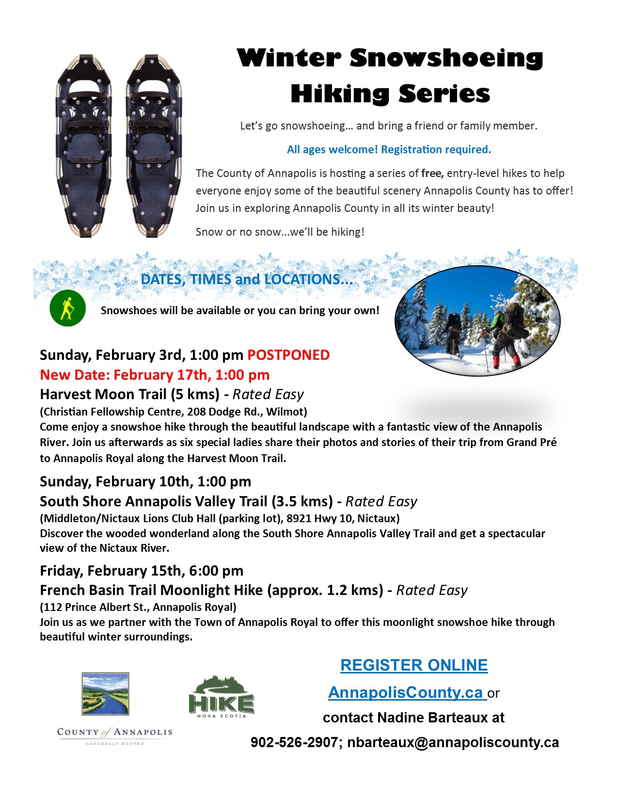 Come enjoy a snowshoe hike through the beautiful landscape with a fantastic view of the Annapolis River. Join us afterwards as six special ladies share their photos and stories of their trip from Grand Pré to Annapolis Royal along the Harvest Moon Trail.